Category: E.B. Stone / GreenAll Fertilizers. E.B. 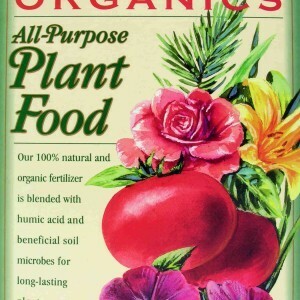 Stone Naturals gives gardeners another outstanding chemical-free product with Granular Gypsum. 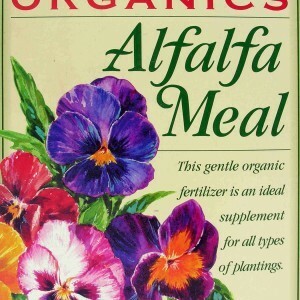 This product serves an important role in healthy soil. In addition to supplying calcium and sulfur, it works to get rid of alkali soil and effectively loosens difficult substances in the dirt like clay and adobe. Granular Gypsum is useful for landscapers or homeowners preparing to plant seeds or lay sod. Before planting, use five pounds of Granular Gypsum for every fifty square feet. For best results, till into the top six inches of soil. After a lawn has become established, reapply Granular Gypsum at 5 pounds for every 100 square feet. Trees and shrubs can also benefit from this product. 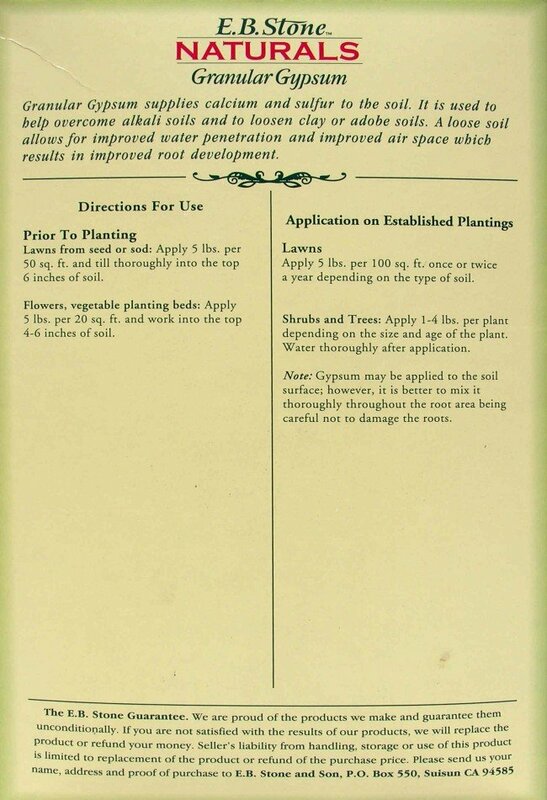 Remember to give all plants adequate water so they can absorb the Granular Gypsum. 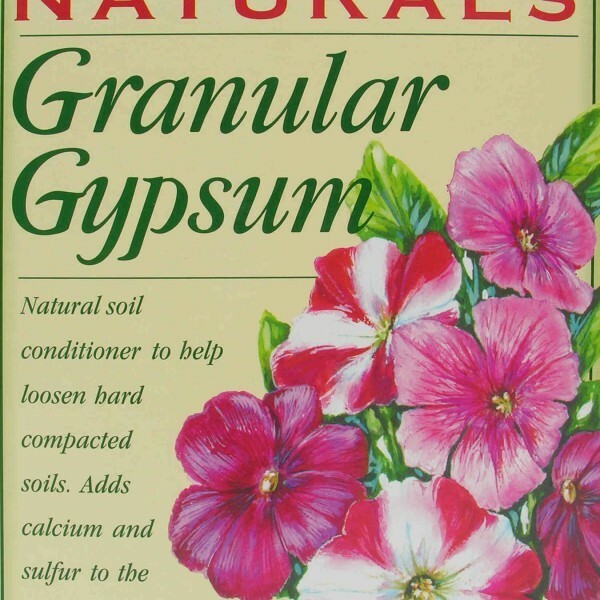 For gardeners preparing to plant young flowers or vegetables, five pounds of Granular Gypsum should be applied and worked into every 20 square feet of the bed. 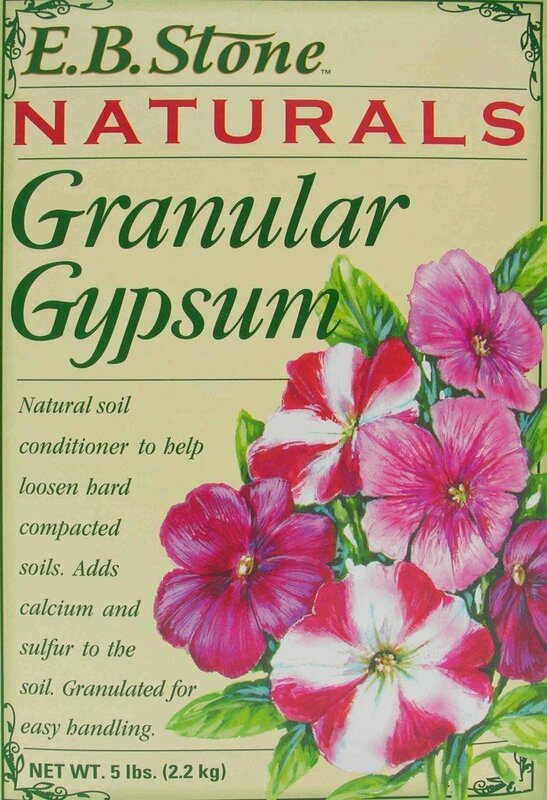 Granular Gypsum is a key ingredient in a successful garden. 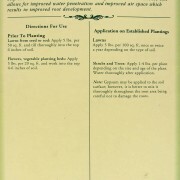 With this product, soil loosens, which allows water to reach more deeply into the soil. Roots are also able to get more air, so they grow stronger and more sustainable. E.B. 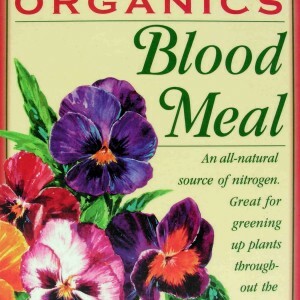 Stone Naturals is interested in providing the best plant food possible with the least chemical harm. 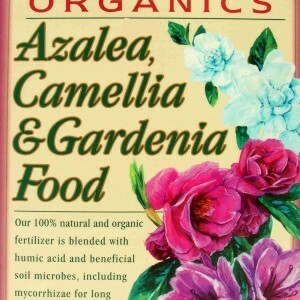 Natural products enhance soil life and allow gardens to thrive for many years.